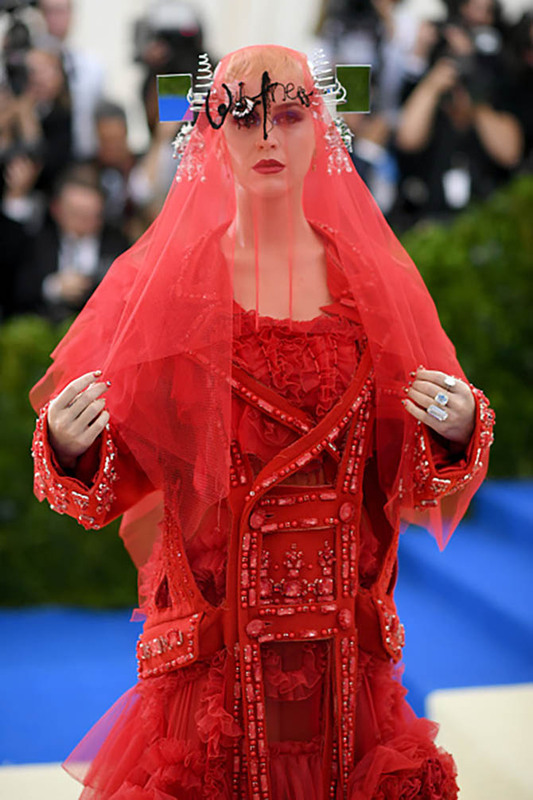 Before the 2017 MET Gala, celebrating exhibition Rei Kawakubo/Comme des Garçons: Art of the In-Between, people joked there would be no jewelry because the spirit of the party was such an avant-garde designer there would be no room in the ensembles for gems. Well, I knew otherwise. 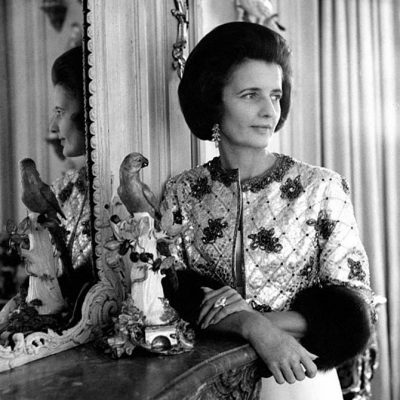 My colleague and co-author for many years, Penny Proddow wore Comme desGarçons, or as those who wear the designer like to say “Rei,” almost exclusively. 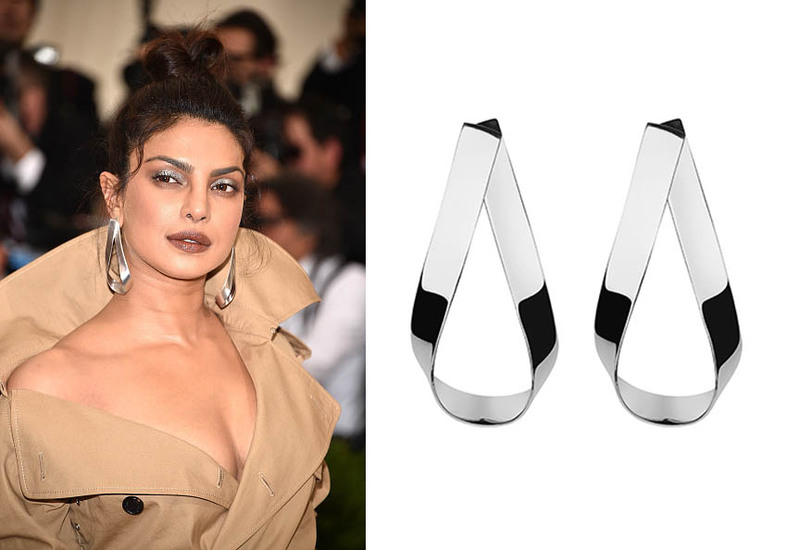 And she piled jewelry right on top of it creating totally eye-catching looks. 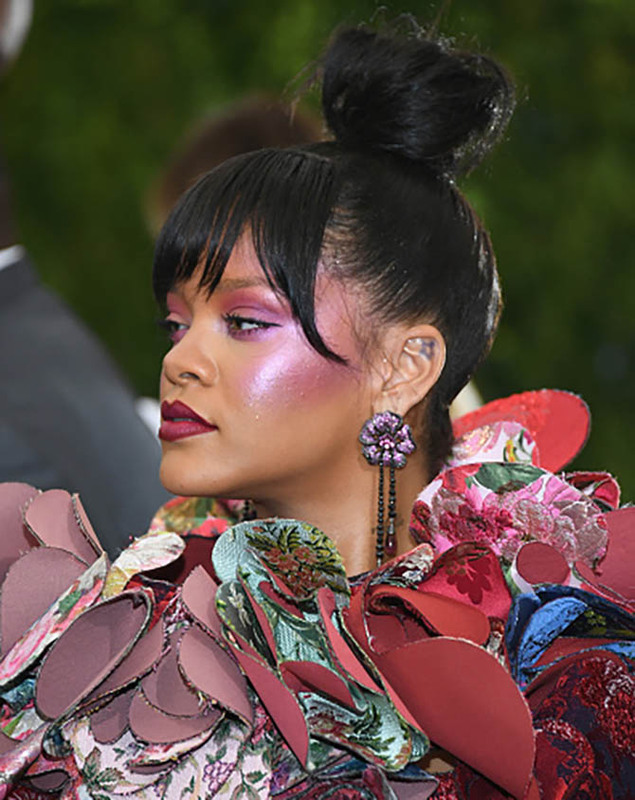 There were lots of eye catching styles on the blue carpet at the MET Gala including trends we have been tracking at The Adventurine: shoulder dusters, chokers and suites. There were also just great treasures. 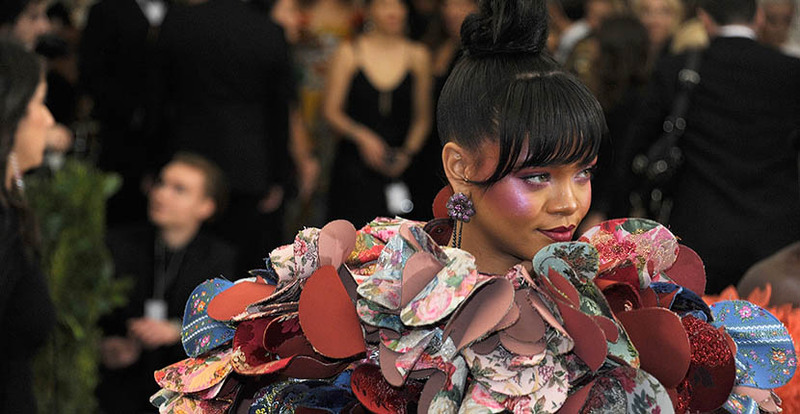 RIHANNA in an amazing Comme des Garçons dress and gorgeous earrings from her collaboration collection with Chopard. CASSIE in a On Aura Tout Vu gown and custom ear cuff by her stylist B. Akerlund and designers Rinadly Yunardi. THE WEEKEND in a vintage Cartier brooch and SELENA GOMEZ in a Coach dress and Tiffany Archival choker with rhodolite and diamonds from the 1982 Blue Book collection. DAKOTA JOHNSON in a Gucci gown and Cartier emerald and diamond earrings and two rings. 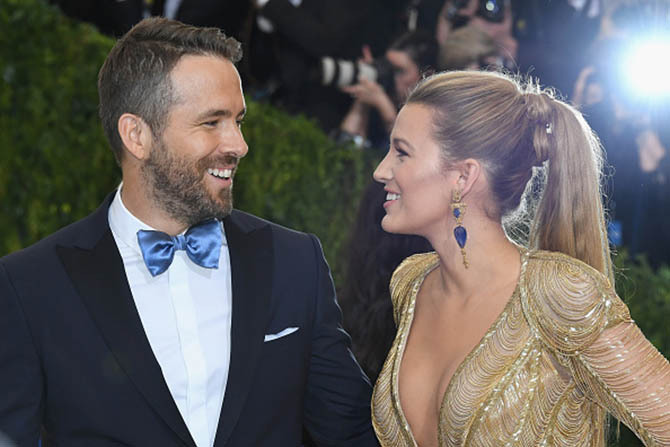 The one set with a 2.95-carat ruby is clearly becoming a favorite of the actress. 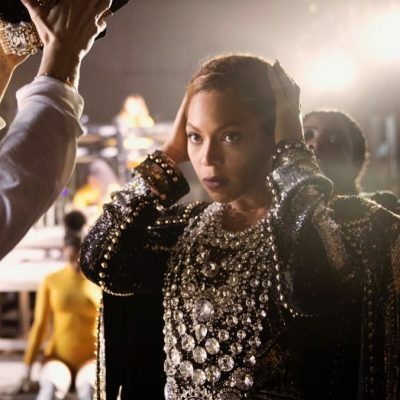 She also wore it to the Oscars. BELLA HADID in an Alexander Wang body suit and two Bulgari diamond Serpenti bracelets. JESSICA CHASTAIN in Prada and new Piaget rose gold, pink sapphire and diamond jewels shown in the renderings above. 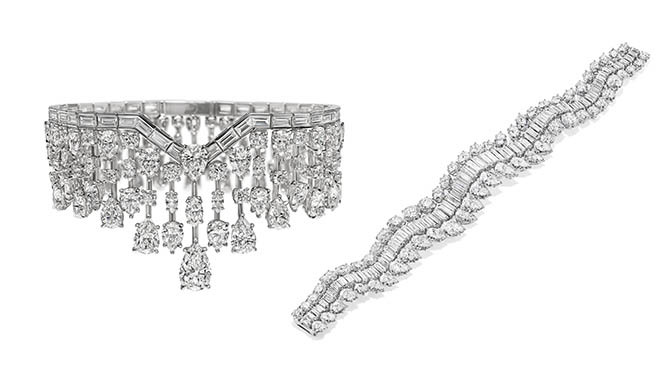 JENNIFER LOPEZ in Valentino and Harry Winston diamonds including vintage Three Row Hoops set with 42.54 carats of diamonds set in platinum, a vintage Diamond Bracelet set with 57.30-carats of diamonds in platinum, a Mrs. Winston Bracelet set with 45.05 carats of diamonds set in platinum and four diamond and platinum rings. 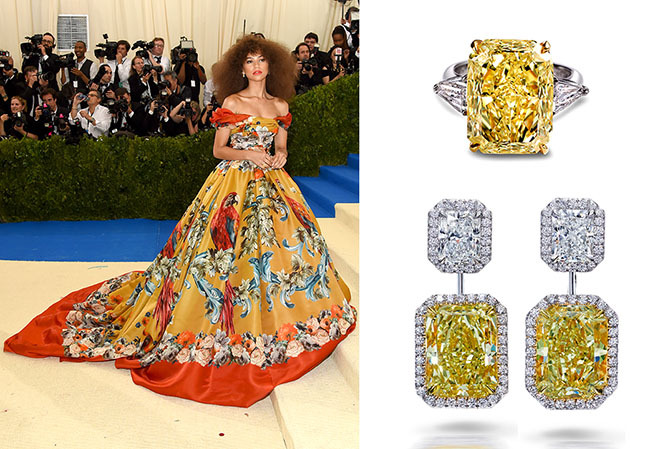 ZENDAYA in Dolce & Gabbana and Forevermark fancy yellow radiant drop diamond and platinum earrings and and exceptional diamond and platinum ring set with a fancy intense yellow diamond. 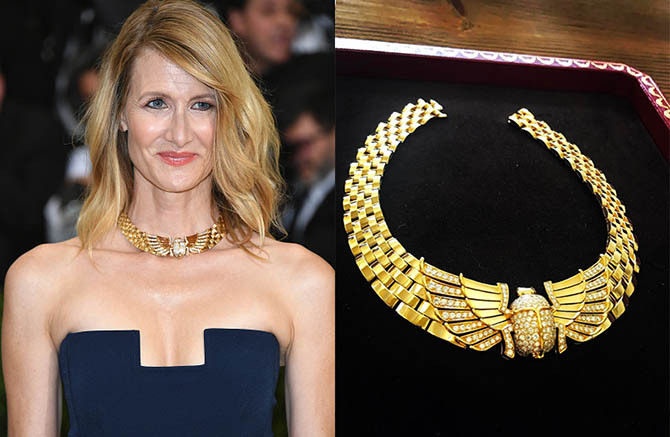 LAURA DERN in Gabriela Hearst and vintage Cartier photographed above by her stylist Cristina Ehrlich. CLAIRE DANES in a white shirt from Monse and Fred Leighton antique gold and seed pearl earring and an antique cut steel arrow brooch worn in her hair. 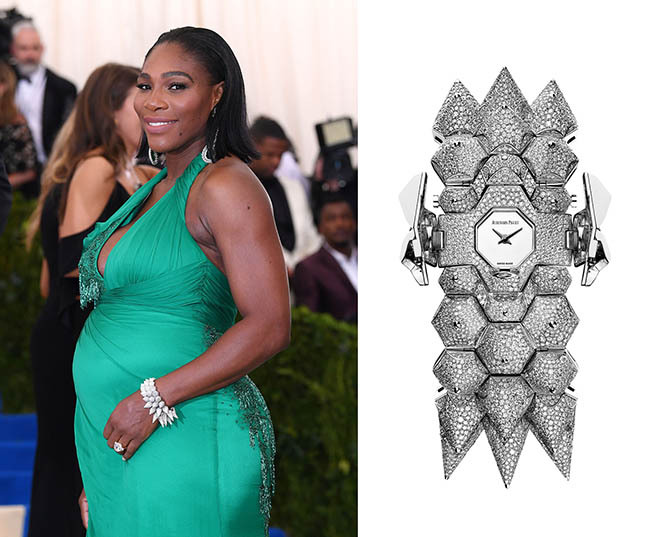 SERENA WILLIAMS in Versace and the Haute Joaillerie Diamond Outrage watch by Audemars Piguet and emerald and diamond earrings from XIV Karats. HAILEY BALDWIN in Carolina Herrera and a Lorraine Schwartz diamond choker.